Do you want to play ‘LADIES BADMINTON’ but have no one to play with? Many ladies love to play badminton but few rarely get the opportunity to play as they have no-one to play with. This ladies badminton was set up for that reason. So now is your chance to turn up and play. No need to feel intimidated or get frustrated. No matter what level you are (or age), just come and play. 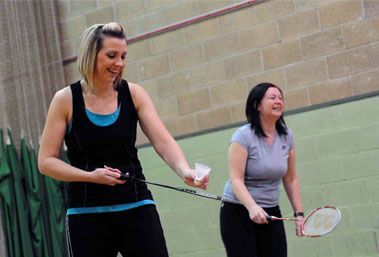 When you are on court you can relax, playing ladies badminton, get some exercise and in addition you do have fun. 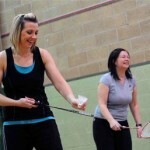 More and more women are looking to play ladies badminton. So, why not come along?. Guaranteed to be an enjoyable night. FYI – Racquets are available and shuttle are supplied.